locomente...: Can Love Happen Twice? 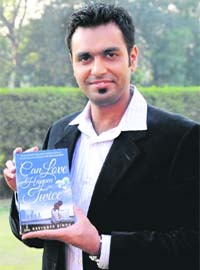 Ravinder Singh’s, “Can Love Happen Twice?” is the much talked about sequel to “I too had a love story”. After loosing Kushi in a fatal accident, Ravin struggles to move on in life. He shifts to Belgium and gets acquainted to Simar. Their acquaintance slowly blooms into love. When their love requires more commitment through the institution called marriage, problems start to erupt. Simar feels insecure. She fears staying with Ravin’s parents. She feels insecure about the future, her job, the fear of being forced to become a ‘homemaker’ and limiting her life to the four walls of kitchen. Ravin tries to feed logic into her irrational thinking and fear. But, things only become worse. Simar calls off the relationship and Ravin goes into acute depression. The story’s narrative is very simple and touchy. It talks about the mentality of today’s generation. Almost everyone is ready to fall in love. They welcome love with open arms. Love, being blind, they enjoy each other’s company, get influenced and go mad in love. However, when the tome for commitment arises – a life long one rather – the so-called love takes a back seat. It may even fly away through the back door. Although the book ends with a happy note, it does not fails to leave a very important message - By falling in love, you are committing yourself and your life to another person. You might be just ruining someone’s life by breaking your commitment later. 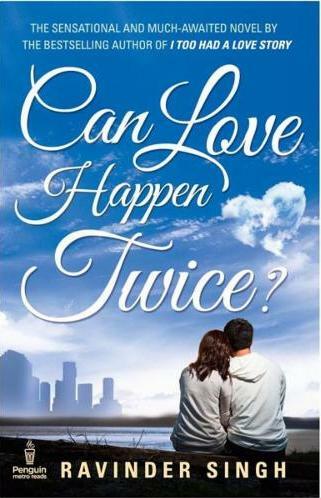 Love can happen any number of times. However, it is staying committed, loyal and truthful that is rare. More difficult is to hold that love for a lifetime. Death of love due to the death of loved ones is a pain. But, certainly not a pain which cannot be borne. On the contrary, death of love after getting crushed by the loved ones is the pain that can never be tolerated. It is much better to say “No” than to say “I Love You” without really meaning it. Falling and being in love is not a style statement. It is an emotion which should never be corrupted! Everyone in tis world has infinte love.. Its not restricted wit two, three, four:) etc..
Mad u tell love s only twice!???!? in d life span..